When you have a state of the art flat screen TV, you need to know it is secure and safe when you attach it to your wall. No matter what size your flat screen is, you’ll find affordable and reliable TV wall brackets are available in a range of styles from a number of manufacturers. A large flat screen TV completes any living room or bedroom and wall mounting your TV will only add to the cinematic viewing experience. An adjustable TV wall bracket will allow you to find the perfect position for your TV and hold it in place when you’ve found the ideal angle. TV wall brackets are lightweight, easy to install and can hold an impressive amount of weight for their size. 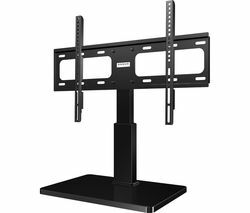 If you have a 70” TV, try the Sandstrom SFLE14 Medium to Large Fixed TV Bracket. It features an ultra slim lock-and-release mechanism to help you mount and secure your TV quickly and easily. The Sandstrom SFLE14 is a low profile bracket, meaning your TV will hang flush to that wall like a picture frame. Sandstrom wall brackets come in a versatile range of styles and sizes. 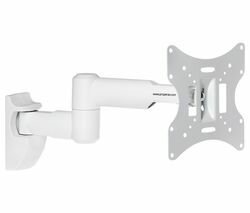 Whether you’ve invested in a new plasma flat screen or you’re looking to upgrade your home cinema by mounting your current TV to the wall, a TV wall bracket is the ideal solution.